ALEX IS AN INNOVATIVE ROBOTIC EXOSKELETON FOR NEUROMOTOR REHABILITATION OF UPPER LIMB FUNCTION. ALEx is a six DoFs mechanically compliant exoskeleton for the human upper limb. 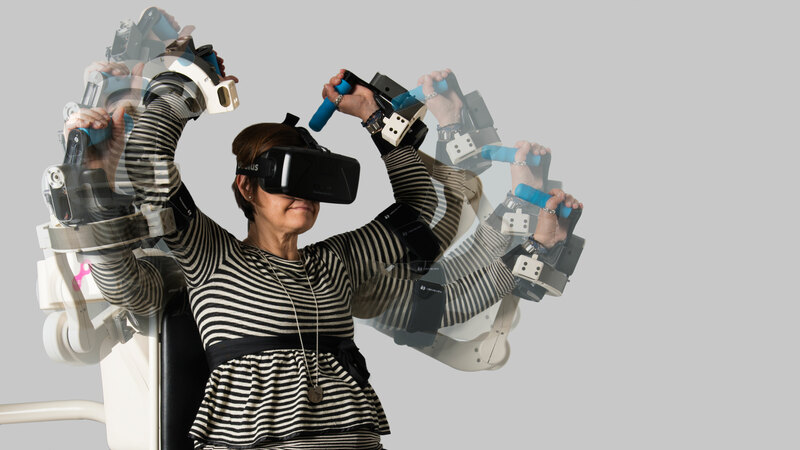 The exoskeleton features four DoFs sensorized and actuated joints (the shoulder abduction-adduction, SH-Abd-Ad, rotation, SH-Rot, and flexion-extension, SH-Flx-Ext, and the elbow flexion-extension, EL-Flx-Ext) and two sensorized and passive joints (the forearm prono-supination, FO-Pro-Sup, and the wrist flexion-extension, WR-Flx-Ext). Thanks to its special shoulder joint kinematics, the exoskeleton can be easily put on and easily adapted to different anthropometric sizes. 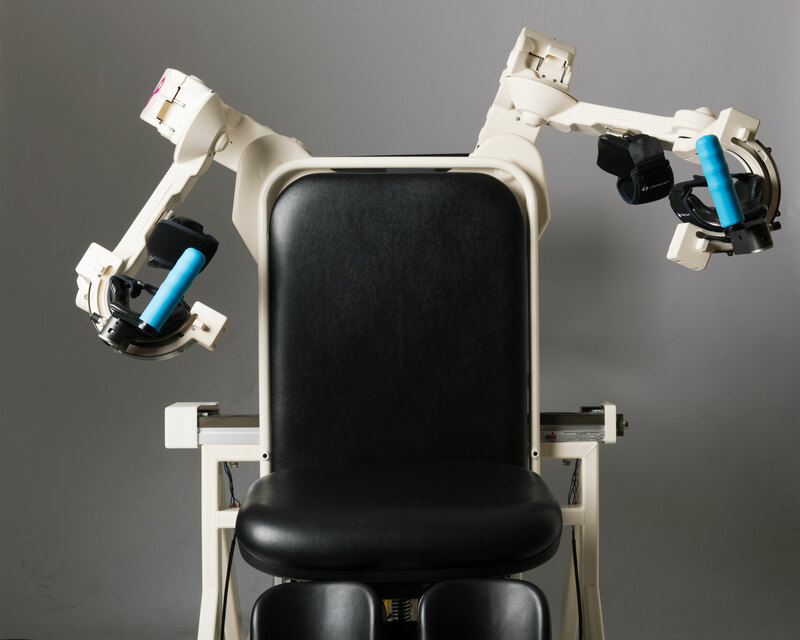 ALEx can cover about 90% of the natural workspace of the human arm, allowing to provide robotic assistance during the execution of natural spatial movements . Alex has been designed around human arm capabilities. Thanks to its innovative and patented kinematics Alex can cover the full workspace of human arm, allowing rehabilitation of any every day life movements, such as self-care, dressing and eating needs. Wearing the Alex exoskeleton is extremely easy and thanks to its lightness, it can be passively moved with no effort from the patient. [maximum peak force] 100 N .
[maximum joint speed] 500 deg/sec.